Home Blacklist IMEI Check	Why use a Rogers Canada Blacklist IMEI Check tool? In 2013 Canada created a National Cellphone Blacklist. At first, it worked as an anti-theft security measurement in order to prevent stolen mobiles being used with Canadian Carriers. Nowadays, Blacklist is so much more than that and a Rogers Canada Blacklist IMEI Check Service is the most important step before you buy a second-hand phone and in order to SIM unlock it successfully. The IMEI numbers are stored internationally in GSMA and Apple’s GSX databases. This is how Mobile Networks lock the mobiles onto them and moreover block them when something is wrong. How can I find the IMEI number of a cell phone? What is the National Blacklist Mobile Database? The phone is flagged as replaced. When a phone is protected by Warranty or Insurance Plan, the original owner can ask for a replacement. Of course, he will have to deliver the problematic phone first and that iPhone’s IMEI will show that it was replaced. There is also an illegal SIM Unlocking method which always fails. Shady characters replace a locked cell phones motherboard with an unlocked one but in the end, the process is uncovered and both mobiles are flagged as replaced. There are pending contract bills. 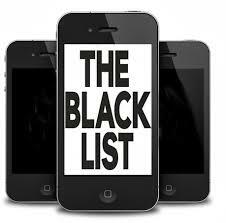 Once inside the national blacklist, the smartphone won’t operate with any network unless the reason it was blacklisted isn’t valid anymore. When an iPhone or other mobile is not blacklisted we call it CLEAN. Every country has its own Blacklist Database but most of them share them with neighboring nations (or even internationally) lately. If you think about buying a refurbished mobile from Canada or when you want to unlock a used cell phone you already bought, knowing the blacklist status is essential. Rogers Wireless Inc. is the most popular telecoms network in Canada and this means most chances are that the device will be blacklisted by Rogers. You won’t be able to use any SIM card inside Canada with any Carrier unless the mobile gets unbarred (aka unblacklisted) and eventually, CLEAN again. Moreover, you may have problems with the law a smartphone is stolen. The answer is NO because Canada shares its Blacklist with the USA and Mexico and Puerto Rico as far as I know. What will a Rogers Canada Blacklist IMEI Check provide you? 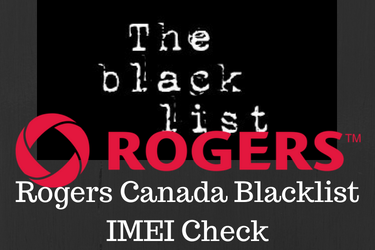 Verified Rogers Canada Blacklist IMEI Check Companies have authorized access to GSMA (for Android) and GSX (for iPhone) databases and show you the Blacklist Status of a mobile and the reason it was blacklisted. Using a Blacklist IMEI Checker, you will avoid buying a blacklisted refurbished device and if you already did, it is the only way to gather the required info and Network Unlock it successfully. Where can I get a Rogers Canada Blacklist IMEI Check service? We keep an updated IMEI Check Companies review sector where you can choose among the best in the IMEI lookup business. Can I unblacklist a Rogers Canada mobile? If the iPhone (or Android phone) was blacklisted due to pending contract bills then you can get in touch with the Carrier and negotiate to pay for them. If you do then the iPhone will get unbarred at once. For all other Blacklisting reasons, you will have to skip to this guide on How to unblacklist & unlock barred iPhones. I hope you found this article useful. Feel free to leave your comment below and ask for our help. Until next time, take care!